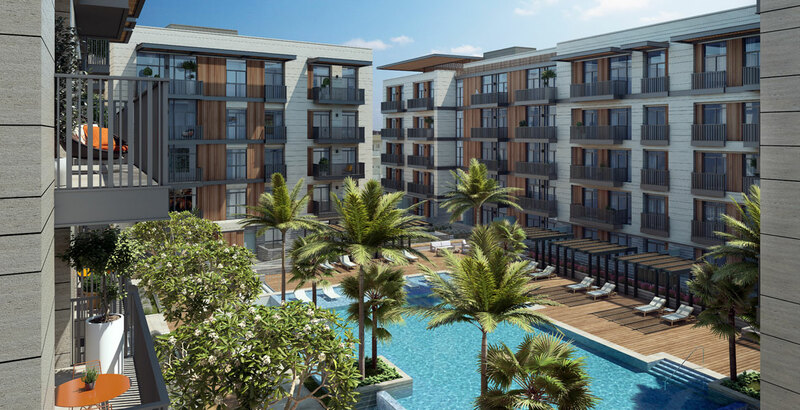 The Belgravia Square the newly launched project developed by Ellington developers in Jumeirah Village Circle (JVC) going to bring the new era in the real estate development in Dubai. Its is located near the famous key location like Mohammad Bin Zayed Road, Al Khalid Road, Al Fay Road, Hessa Street. The Dubai-born design-led boutique developer with a growing portfolio of bespoke, aesthetic and high-quality homes has received a large interest from investors and home buyers. 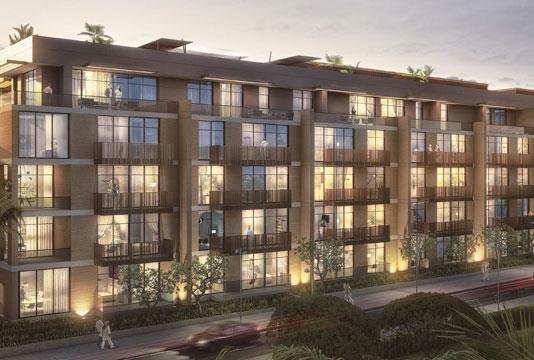 The design-led homes that contribute to a quality lifestyle for residents and bring long-term value for investors. Belgravia Square a contemporary architecture consolidates two smartly designed "L-Shaped" blocks that face each other. The Magnificent design and the dynamic lighting are complemented by a beautiful sculpture made by the local artist. 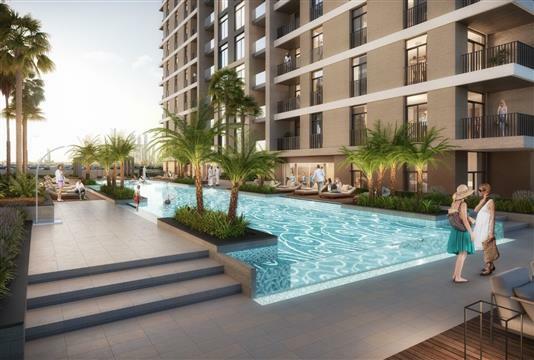 The Fourth in a series of projects under the Belgravia Heights trademark in the Dubai's Jumeirah is expected to be a great success, just like the first three Mega demanded Belgravia projects. 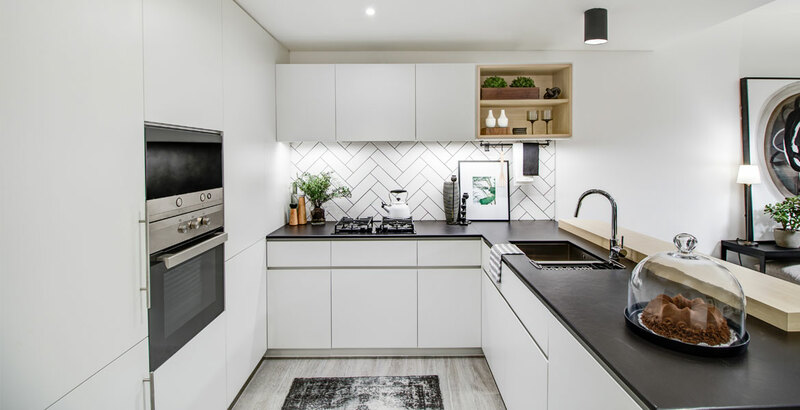 The Belgravia project will offer 225 off-plan units for sale, comprising studios and 1 to 2 Bedroom apartments. The Belgravia Square is a resort like landscape Platform with a Swimming pool available for the Residents which adds a great pleasure. A truly customer-focused Real Estate Developer in Dubai, Ellington build stronger, more complete classically beautiful houses, meeting the incredible art with a perfect design with the ongoing modern trends. Ellington completely oversees the building of great comfort homes in Dubai, working closely with the design and architectural team. Every property is made with four key supports keeping in mind, forming an important mix of principles that shows the Ellington Brand in Dubai. Having belief that home makes a momentous part in building a quality way of living and the Ellington makes sure that the process goes through a highly personalized approach from principles to finish the details with the best quality. Offering assurance after hand-over and having a responsibility towards the customer. As being the top property developer in Dubai, the personalized collection of residences and communities are an ideal fit for a refined Lifestyle that is build to Inspire in the Future. The Belgravia Square is a resort like landscape Platform with a Swimming pool available for the Residents which adds a great pleasure, with wide open children’s play area, outdoor sports fields, lush green community parks, and well-known schools and educational institutions. Ellington completely oversees the building of great comfort homes in Dubai, working closely with the design and architectural team. Nearby to Schools, Shopping malls, Hospital and metro station. Belgravia Square, offering studios, 1 and 2 bedroom apartments with iconic views of surroundings. 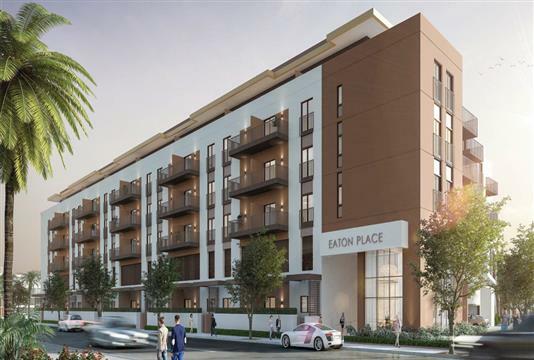 Additionally, developer Ellington announces affordable Prices along with easy and attractive Payment Plan option to facilitate buyers. 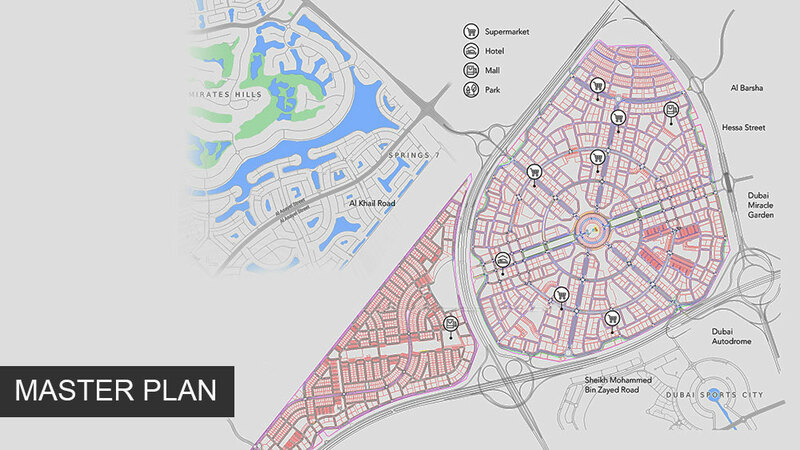 The Belgravia Square is located at Jumeirah Village Circle (JVC), Jumeirah in Dubai. The Freehold apartment located at the key location from 10 minutes drive to Dubai Autodrome, having 10 minutes drive to Dubai Marina, 15 minutes drive to Dubai Downtown and the famous Burj Al Arab, 18 minutes to Palm Jumeirah. The Ellington Developers amazingly Master planed the Belgravia Square in the heart of Jumeirah Village circle (JVC), which gives a sparkling and exciting neighbourhood. It inhabitant’s pleasure in endless opportunities for ease and entertainment. 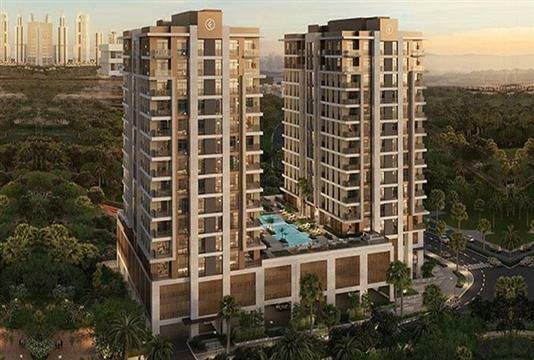 The Fourth in a series of projects under the Belgravia Heights trademark in the Dubai's Jumeirah is expected to be a great success, just like the first three Mega demanded Belgravia projects. 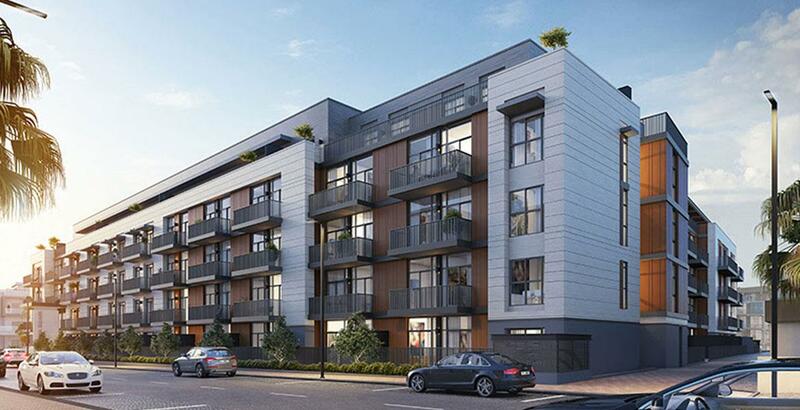 The Belgravia project will offer 225 off-plan units for sale, comprising studios and 1 to 2 Bedroom apartments. The Belgravia Square is a resort like landscape Platform with a Swimming pool available for the Residents which adds a great pleasure. A truly customer-focused Real Estate Developer in Dubai, Ellington build stronger, more complete classically beautiful houses, meeting the incredible art with a perfect design with the ongoing modern trends. 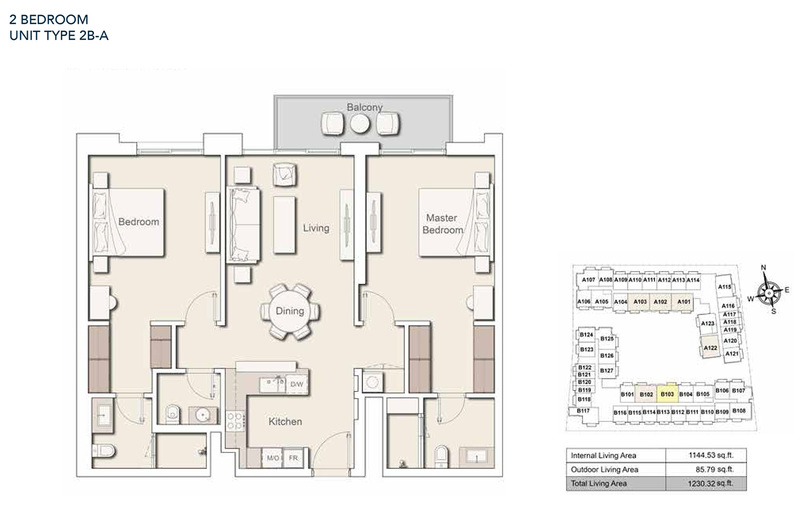 1 Bedroom Unit Type - 1B A, Size 787.06 sq.ft. 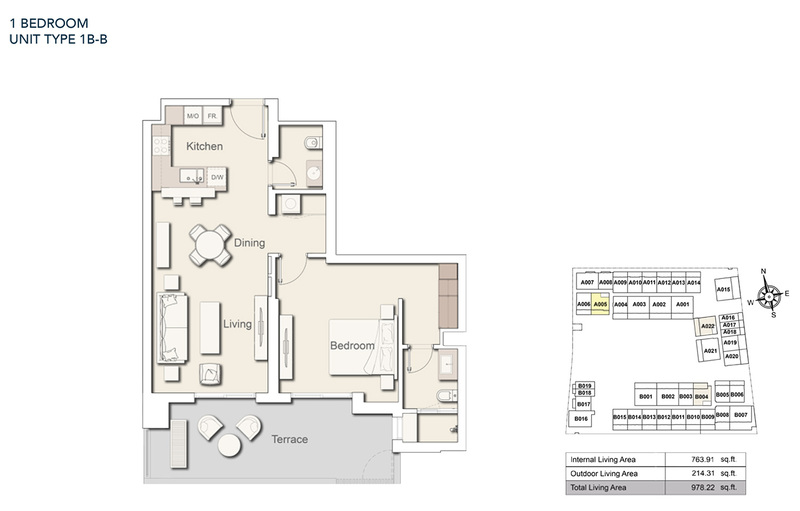 1 Bedroom Unit Type - 1B B, Size 978.22 sq.ft. 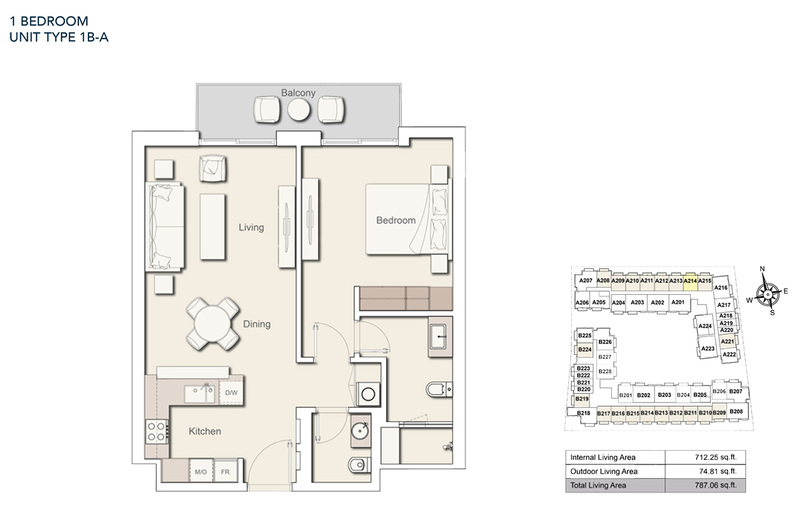 2 Bedroom Unit Type - 2B A, Size 1230.32 sq.ft.